Key micro-markets including Whitefield, Sarjapur road and Kengeri have emerged as the top mid-segment housing destinations in Bangalore on the back of affordable capital values, well-connected transport network and proximity to prime areas and employment hubs of Bangalore. Over the years, India’s Silicon Valley, Bangalore has emerged as a lucrative housing destination since it offers a variety of options to homebuyers across all budget categories. While the affordable housing segment is flourishing throughout the city, the mid-segment category is following close. 99acres shares a list of top 5 mid-segment destinations in Bangalore along with factors that are propelling demand in these regions. Whitefield: From a picturesque little settlement in the early 2000s to an IT Hub, Whitefield has turned out to be one of the most sought after localities in Bangalore. The IT boom has reshaped this suburb, as a result of which, it boasts of several mid and luxury-segment apartments, villas and row houses today. 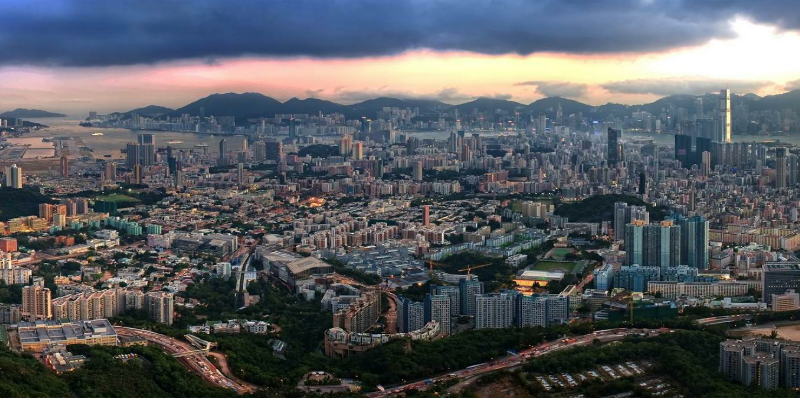 In addition to the IT companies, the area is home to some of the renowned civic utilities such as The Foundation School, Columbia Asia Hospital, The Forum Neighbourhood Mall. Proximity to Special Economic Zones (SEZ) and good connectivity to prime locations further adds to the attractiveness index of the region. The ongoing metro extension from Baiyappanahalli to Whitefield will further strengthen connectivity and boost the property market of the region. From Rs 4,200 per sq ft in Jul-Sep 2014 to Rs 4,700 per sq ft in Jul-Sep’17, the locality has witnessed an 11 percent increase in capital values. Sarjapur Road: Once a desolate suburb, the locality started garnering traction ever since Wipro set up their corporate campus here in the early 1990’s. It is situated in the south west of Bangalore and enjoys robust residential demand and good connectivity to the IT hubs along Outer Ring Road (ORR), Whitefield and Electronic City. According to 99acres.com data, average capital values in the locality are faring around Rs 4,800 per sq ft as of Jul-Sep 2017. Ample availability of land has also led to an increased commercial activity in the region. Kareem Khan, Managing Partner, Network Ventures avers, “Most of the development is concentrated within the initial 2.5 km radius of Sarjapur main road that constitutes a well-established social infrastructure including schools, hospitals, hotels and malls adding to the popularity of this locality.” The proposed Peripheral Ring Road under the Bharatmala Pariyojna project will provide an alternative route to homeowners of this locality to reach the northern part of the city. Hennur Road: Hennur Road in the north of Bangalore has emerged as a popular residential destination owing to direct connectivity to the Bangalore international airport, expanding infrastructure, affordable properties and proximity to Banaswadi, Nagavara, HBR Layout and Hebbal. The area has a good share of mid and high segment properties and is largely driven by investors due to its investment potential. In the last one year, the locality has clocked a three percent increase in average capital values, rising from Rs 5,500 per sq ft in Jul-Sep 2016 to Rs 5,650 per sq ft in Jul-Sep 2017. “Despite a developing infrastructure, proximity to the Central Business District (CBD) and Manyata Tech Park are some of the growth stimulators for this region,” adds Khan. Moving 6 km down from Hennur Road, there is Thanisandara-Nagavara stretch where a number of budget segment developers are offering 2BHK at Rs 35 lakh onward. Kengeri: Situated in the western quadrant of Bangalore, Kengeri is one of the fastest-developing satellite townships in the city. The locality is gaining prominence on the back of affordable properties and is bordered by some established localities including Banashankari and Raja Rajeshwari Nagar. While the social infrastructure in this part of Bangalore is still developing, the locality is primarily known for its well-connected network of railways (Kengeri Railway Station) and roadways via NICE Road, ORR and Mysore-Bengaluru Highway, connecting it to the whole of Bangalore. Besides, renowned developers including Puravankara, Brigade, Prestige and K Raheja have their presence in this area. The metro extension from Mysore road terminal under the second phase of the Namma Metro will further enhance connectivity and could push residential values North in Kengeri. Uttarahalli: Uttarahalli is an establishing suburban area in the Southern part of Bangalore that is witnessing continuous development of residential and commercial projects. The area houses apartments and independent houses by budget and mid-segment developers. Being situated close to Banashankari, residents can have access to markets, schools/educational institutes and other civic utilities. The prevailing capital values here are faring around Rs 3,650 per sq ft as of Jul-Sep 2017 which is one of the driving factors for this locality.